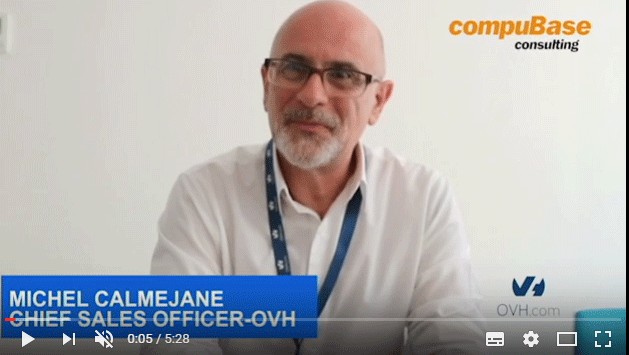 Michel Calmejane – Chief Sales Officer chez OVH- explique comment compuBase a su répondre au besoin d'OVH de mieux comprendre son marché. 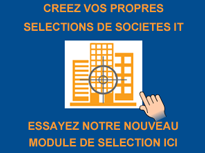 Le partenariat avec compuBase a permis à OVH de mettre en place des campagnes de géomarketing très ciblées et adaptées à destination des partenaires intégrateurs systèmes et éditeurs de solutions SaaS. Grâce à la nouvelle plateforme de compuBase OVH a pu trouver de nouveaux partenaires très prometteurs pour son programme commercial. 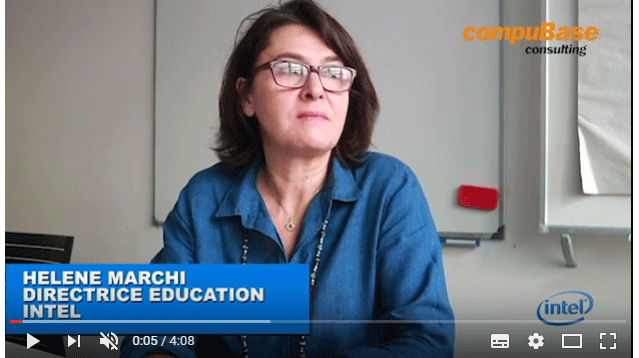 Hélène Marchi - Directrice Education chez Intel - explique comment les services et Business Intelligence fournis par compuBase ont aidé Intel à mieux connaître et aborder les acteurs IT travaillant pour le marché de l’éducation en France. "Partnership is a natural element of Brother’s managerial philosophy. The whole company vision embraces a customer centric approach, which is why generating and managing a substantial and qualitative customer base is essential for Brother’s strategy. compuBase is one of the best, well-organized and structured international solution providers for achieving this. The quality and reliability of the information provided are obviously concrete needs for these kinds of activities, especially for issues regarding the world of B2B where nothing should be left to chance. In our opinion, compuBase is the ideal partner, combining quality of service with the reliability of an international provider. At the same time, the high level of service gave us the chance to be flexible in our project, which is essential in the current economic situation. Speed and flexibility are key elements to success in any project, particularly when the goal is getting in touch with new B2B realities and presenting all the values your own company is able to provide to the market. In this sense, having a partner that is able to match the client’s point of view became a plus. All of these aspects led to the final decision to work with compuBase and to a very good outcome. Today Brother is happy to effectively reach hundreds of customers to start a new commercial relationship with them and to increase overall business. " Vincent Fauquenot - Director of Marketing & Channel - Lenovo EMEA. "As marketing director for the PC Division of IBM and now working as Director of Marketing and Channels for Lenovo, I have had the opportunity to use compuBase services for several projects including channel database enrichment and partners' profiling or analysis of my own distribution network. All the projects realized with compuBase have increased our distribution network knowledge, improved our indirect sales efficiently and optimized our marketing operations with better targeting. I would not hesitate to use compuBase's services in the future for any mission requiring optimization or enlargement of my distribution channel." Michel Cohen former Managing Director of Azlan - Tech Data Network Div. "We are completely satisfied with the work done by compuBase. One example of the work achieved together was the enrichment of our database with a focus on network specialist resellers. We asked compuBase to cross our results with their database to finally identify the right contacts to launch the right actions and to focus much more on our sales organisation. The ROI on this kind of operation was effective immediately."